Not surprisingly, some of the most abstruse doctrines in Buddhism are widely misunderstood, or the terms are used vaguely. One of the most abused terms in our Buddhist lexicon is śūnyatā. Since I've been responding to questions about the Heart Sutra recently, I thought I'd put together a basic guide to the term. So lets begin, as usual, with etymology. The word śūnya means 'empty, void, barren'. Mayrhofer in his Etymological Dictionary lists this word under śūna from a Proto-Indo-European root *kuer (the change from PIE k to Sanskrit ś is regular). According to Mayrhofer "This is probably from *keur 'swell', as in 'bulge, bulge, cavity' (possibly via 'bloat', 'inwardly hollow out')". Porkony lists this PIE root under keu-. In English it can be seen in words such as 'cave, cavern, and church'. It is related to the Greek κύαρ (kuar) 'a hole, an orifice'. Our word zero ultimately comes from the Sanskrit word śūnya via Arabic sifr 'cifer', and Medieval Latin zephirum. In Sanskrit, this idea seems to manifest as the verbal root √svi 'to swell', which may also have forms √śū and √śvā. It's worth keeping in mind another word which appears in the Heart Sutra: ūna 'deficient, defective'. Thieme has speculated that śūna might be from su+ūna where su means 'well, good'. However, I think the latter seems unlikely and that the connection with swelling is much more plausible. 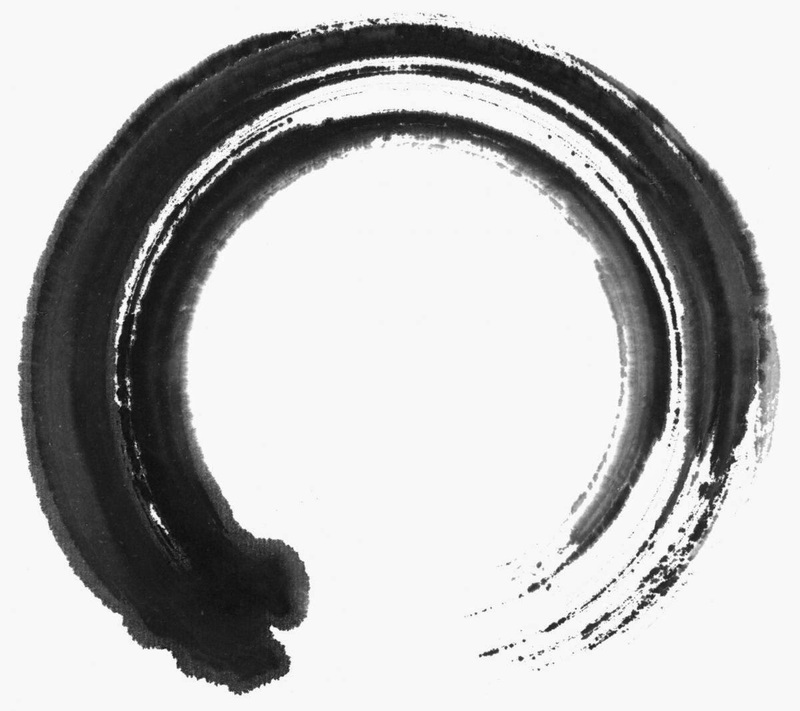 Those familiar with the image of the ball of foam for śūnyatā will immediately see that the simile might have another connotation than the obvious one - i.e., that a bubble is something that has swelled up leaving it's internal space is empty, i.e. it is hollow. I'll come back to this image. Translating śūnya from a philological perspective is not difficult. It means 'empty, void, devoid, zero' and possibly 'hollow, barren'. 'Empty' is a good basic translation. And 'emptiness' is the abstract noun from 'empty' in exactly the same way that śūnyatā is an abstract noun from śūnya. Here the -tā suffix is an equivalent of -ness. So literally śūnyatā is the state or quality of being empty; or the characteristic of something which is empty. However, the word is used in a specific context and we do need to be sensitive to that context. In order to best understand this word we need to know something about the context in which it was used. In fact, the word is found in the Pāli texts, but as a techinical term of Mahāyāna Buddhism it is used quite differently. Firstly, by this time it is deeply engrained that 'dharmas arise in dependence on conditions'. A thinker like Nāgārjuna lived in a time when this had been the worldview for some centuries. It is fundamental to the discussion. It's worth stressing this if only because it seems to be lost sight of sometimes. Dependent-arising is a given. The second thing to understand what is empty, and what it is empty of? We find the answer in the Heart Sutra in the two phrases: sarvadharmāḥ śūnyatā-lakṣanāḥ and pañcaskandhān svabhāvaśūnyān. The first tells us that "all dharmas are characterised by emptiness". Thus the focus is dharmas. And what are dharmas? Dharmas are the objects of the mind sense or manas. This is a theory that applies to mental phenomena. It's important that we don't fall into the trap of saying or thinking that "all things are characterised by emptiness". This is not a doctrine about "things", this is a doctrine about dharmas. The second phrase is aimed at the skandhas. But consider that the skandhas are aspects of experiece -- embodiment, sensations, names, volitions, discriminations. Sue Hamilton has shown that skandha is synonymous with duḥkha, which in its broadest sense means 'unawakened experience'; and also with loka, 'experience'. Indeed, duḥkha and loka are both described as products of the process described in the nidānas so they are not only synonymous, but equivalent. (See Is Paṭicca-Samuppāda a Theory of Everything? for a discussion of this correspondence). The skandhas divide experience into useful chunks for vipaśyana meditation (and Avalokiteśvara was doing a skandha reflection practice at the beginning of the Heart Sutra); dharmas are the 'atoms' of experience from a Buddhist point of view. For the sake of this discussion, then, we could subsitute sarvadharmān svabhāvaśunyān here since dharmas are the focus. And this would mean 'all dharmas are devoid of svabhāva'. The word sva-bhāva is a compound. The sva bit means 'own'. If I wanted to say "I'm going to my house" it would be: sva gṛhaṃ gacchāmi. Bhāva comes from the root √bhū 'to be, to become'. Buddhists are sometimes a little too insistent that bhū means 'to become' and want to shy away from the 'to be' meaning, but this is an error. And we see it here because bhāva means 'being, existing'. So svabhāva means 'existing on its own or in it's own right; 'own-being' as Conze quite literally puts it. It's also translated as 'intrinsic-existence, inherent-existence, self-existent, self-nature, etc.' Thus "dharmas are empty of svabhāva" means that dharmas don't exist on their own or in their own right. Now svabhāva is a technical term that exists in the worldview I described above. For something to exist on its own means that it is its own condition. So for a dharma to have svabhāva means that the condition upon which it arises is itself. Nāgārjuna points out that there is an inherent contradiction in a dependently arisen dharma being its own condition. If a dharma with svabhāva (itself as a condition for its own arising) is currently non-existent, then that dharma can never come into existence. If a dharma with svabhāva is currently existent, then it could never cease to exist. And, just as Nāgārjuna does, in his Mūlamadhyamakakārakā (15.7), I will now point out that the Kaccānagotta Sutta is the authoritative text on this subject (Pāli SN 12.15; Chinese Taishō 2.99 85a-86c [my translation]; a Sanskrit version is also extant). I've written a lot about this text - in particular, my long essay Is Paṭicca-Samuppāda a Theory of Everything? The Kaccānagotta points out that in practice we experience dharmas arising (utpāda) and passing away (nirodha). Now, if a dharma arises then it cannot be non-existent. The term used here is (nāsti) but Nāgārjuna uses abhāva. And, if a dharma ceases then it cannot be existent (asti/bhāva). So, if a dharma that presents itself to our awareness arises and passes away then it cannot be self-existent. And the Buddhist argument is that our mind only processes dharmas. Thus, we can say with some confidence that dharmas lack svabhāva or, in Sanskrit, sarvadhamāḥ śūnyatā-lakṣana. In the Kaccānagotta, the Buddha tells the Kaccāna that the terms 'existence' (astitā) and 'non-existence' (nāstitā) do no apply to the world of experience (loka). Thus we really ought to drop them from our discourse. Whenever we find out selves talking about real/unreal or existent/non-existent then a red flag should go up - we've strayed into wrong view. And this is the basis of my critique of the so-called Two Truths. By a quirk of history, the development of Abhidharma thinking drifted towards the opinion that dharmas, as the fundamental building blocks of experience, must actually exist. This wrong view is why Buddhism had to produce whole new categories of sūtra and śāstra. Outside of this context of contradicting a particular wrong view, the doctrine of śūṇyatā doesn't really make sense. This wrong view is said to be the reason behind the name of the Sarvāstivāda sect of Buddhism. The name beaks down to sarva (all) + asti (exists) + vāda (ideology). I understand that the crude depiction of Sarvāstivādins as Realists has been challenged by some scholars, particularly Collette Cox, but I haven't had the time to look into it yet. As I have previously observed, Nāgārjuna was, to some extent, stuck with this idea because the Abhidharma was canonical (I've referred to this as the Post-Abhidharma Doctrine Disaster). The easiest way to deal with the problem of starting to think in terms of existence ought to have been to start over, but Buddhism is a deeply conservative religion and, rather ironically, it clings on to existing ideas. They can be superseded, but not done away with altogether. So Nāgārjuna was stuck with this idea about the existence of dharmas. His response was to employ the term śūnyatā to undermine the Realism of the Abhidharmikas and get Buddhist thought back on track. It allowed him to agree with tradition--yes, dharmas exist--(conventional truth); but to refute this notion in the same breath--no, dharmas don't really exist (absolute truth). But the Two Truths were a workaround, and if we don't buy into dharmas with svabhāva (and who does these days?) then we don't need them. We can stay with the singular truth outlined in the Kaccānagotta Sutta, namely that dharmas arise in dependence on causes and by definition lack svabhāva. (And because I maintain this position, I have been called a NeoSautrāntika). Buddhist thought is important because it informs Buddhist practice. From time to time (every couple of centuries or so) we need to be reminded that, having calmed down and become focused, our next task is to turn our attention to our experience as it arises and passes away, because that is where the truth about experience is. In my view this is precisely what Nāgārjuna attempts to do in his works. Thus, experience itself really is like a ball of foam. We definitely have experiences, but they don't seem to exist in the way that the 'things' we experience do. Keep in mind that this is a simile for the arising of a dharma present to the manas: the foam defines a shape but offers no resistance; the foam can be seen, but close up is transparent; the foam defines a volume of space, but it is hollow; the foam shape exists briefly and then bursts and is gone. Another favourite analogy is to say a dharma is like rabbits' horns. I can say the phrase "rabbits' horns" and you can hear, correctly parse, and understand what I've said. The words are said and heard and understood and you can imagine what a rabbit with horns might look like. Yet at no time does a rabbit ever have horns. So is the image of a rabbit with horns that the words evoke real or unreal? The Buddhist answer is that neither applies so let's not go down that road. Just because you can name (samjñā) something does not make it real (or unreal). Trying to unravel and comment on the myriad uses and misuses of the word śūnyatā would be a book length project and I have no intention of undertaking something like that. But it won't hurt us to reflect on how the usages that we encounter map onto this basic meaning. Keep in mind that it's not always wrong to reframe Buddhist doctrine - in fact, it is essential. Buddhism is not made up of eternal truths. Buddhism is a collection of methods and associated ideas which aim to produce a particular experience -- the experience of seeing through (vipaśyana) and understanding (prajñā) the nature of experience itself. And, in the meantime, the exploration of experience is itself a fascinating area of inquiry. And the way we talk about the ideas that inform our practice must reflect the times and places we are in. If we are to communicate the Buddhadharma then we need to use a language and idiom that people can understand. To do this we must be thoroughly versed in what is meant. Like a jazz musician must be thoroughly versed in scales before they can be truly free to improvise. And Buddhism ought to be like jazz rather than some crusty old classic music always read from the page.